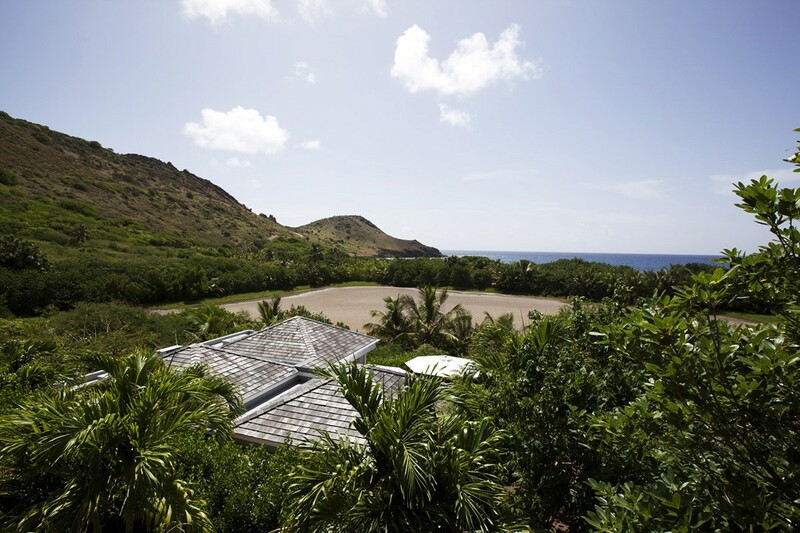 Villa Casamia St Barts. 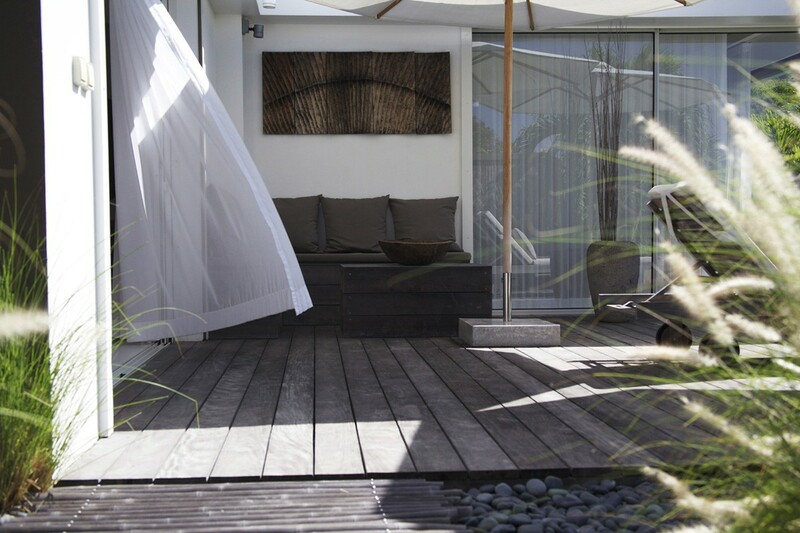 You will instantly wish that the charming Villa Casamia really was your home as soon as you arrive. 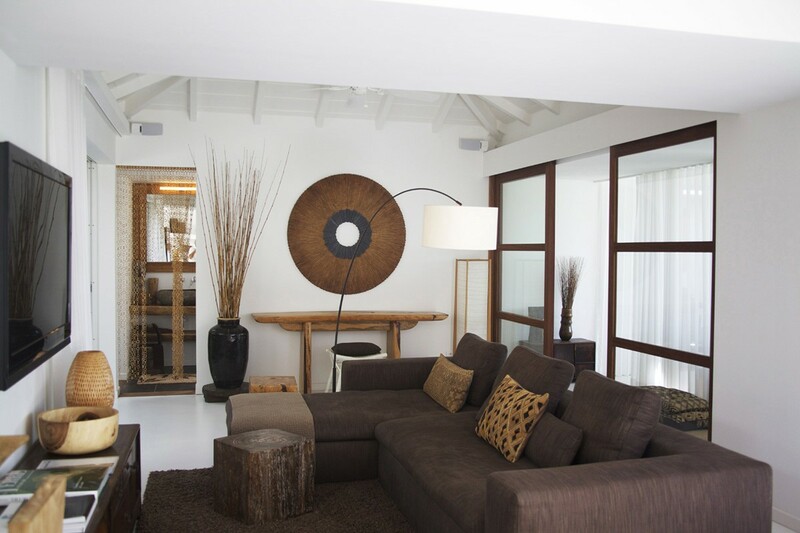 Set in the tranquil and unspoiled Toiny Bay area of St. Barts, it is the result of thoughtful design and truly inspired décor. With a single bedroom, it could be the perfect retreat for one, a romantic getaway for two or even a completely secluded honeymoon spot. 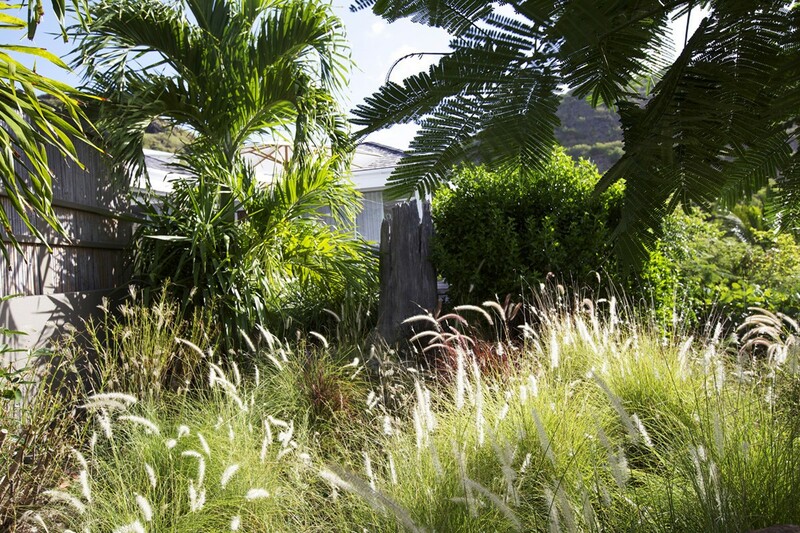 The newly built villa has been crafted to work with the natural setting and it sits in a mature garden full of native plants and palms. 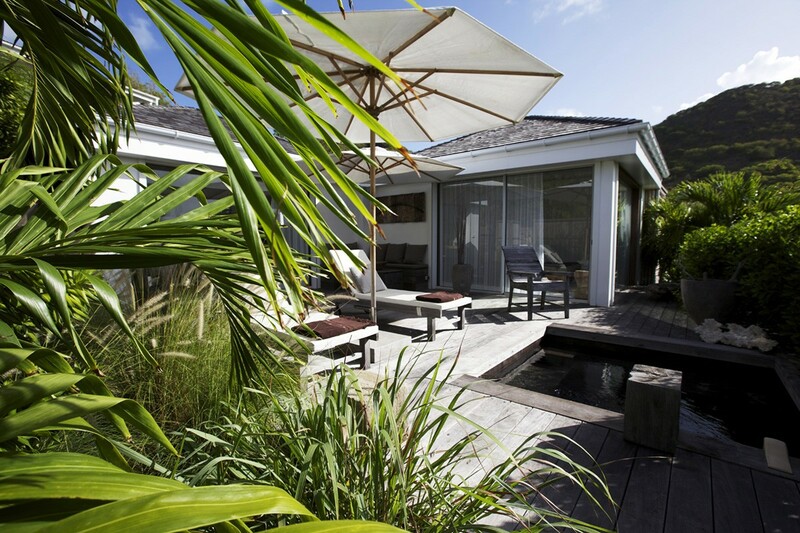 Just a short walk from the quiet beachfront, it is a wonderful oasis of privacy, calm and luxury. 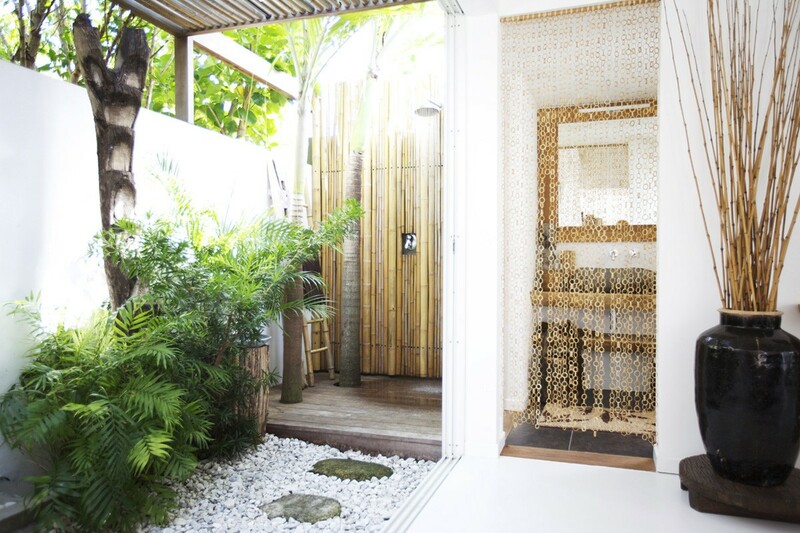 The décor alone is worth a visit as it uses a blend of international styles with a distinctly Asian influence. 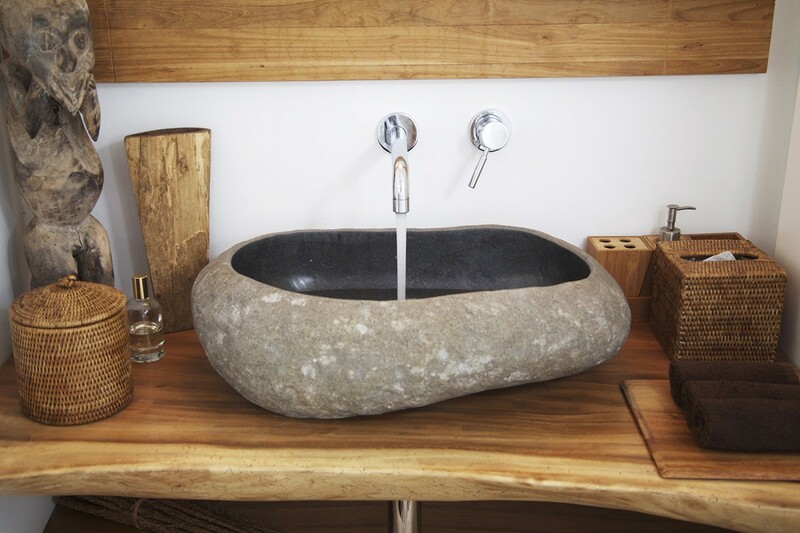 Japanese furniture, Indonesian carvings, and Zen-like exteriors make this a place of total peace. 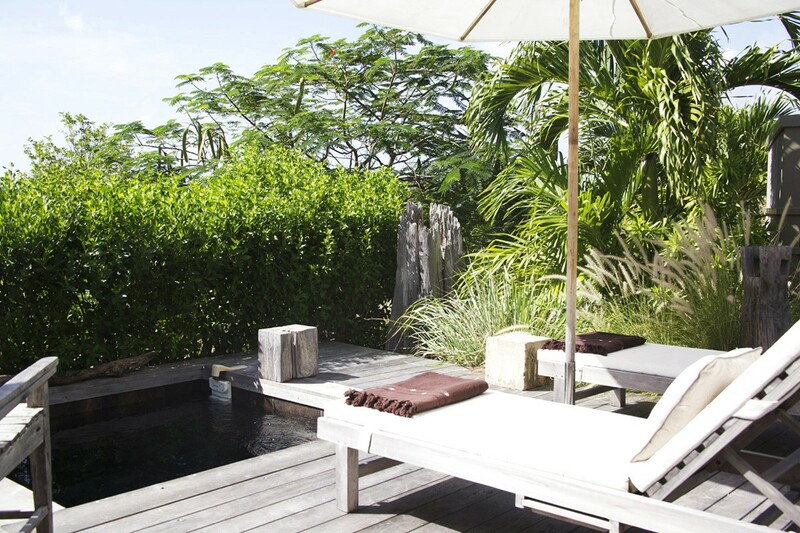 Whether you are out on the terrace with its stone plunge pool hidden by native trees or reclining on the sun beds or lounge area, you will feel only perfect calm and relaxation. The enormous doors feature billowing white curtains that allow just enough are and light indoors. In the high ceilinged great room, you discover a lounge decorated in a white palette balanced by earthen hues of brown and stone. 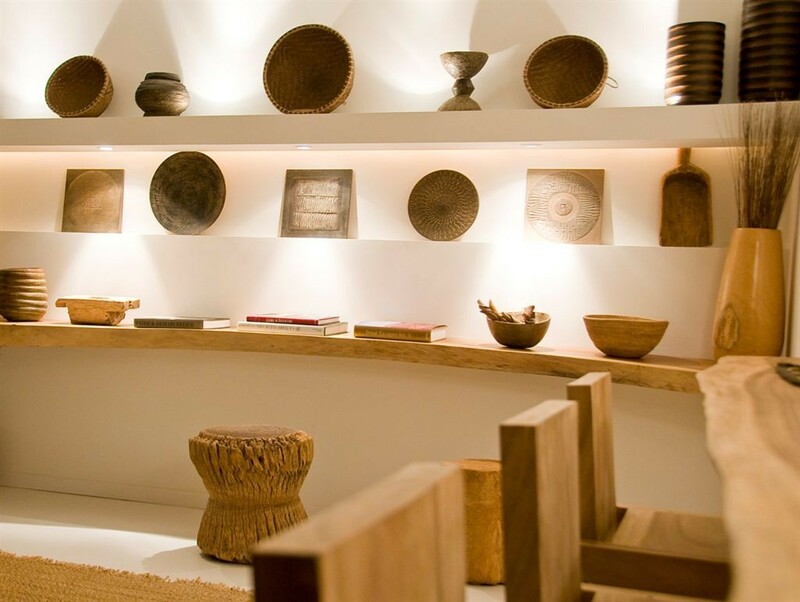 Carved wooden bowls, baskets, handmade furnishings and oversized sofas make this a perfect spot to lounge. 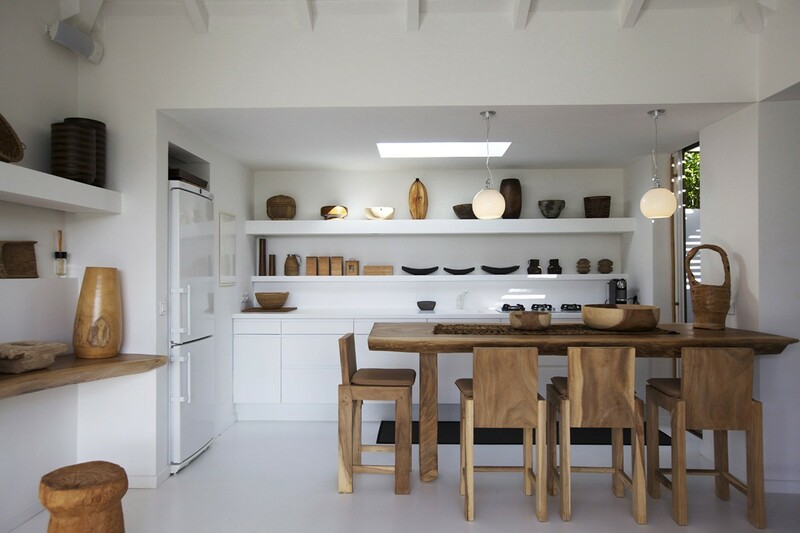 Through the sliding doors, you reach the dining room done in a Japanese style and nearby is the full kitchen in a bold yet soothing white palette. 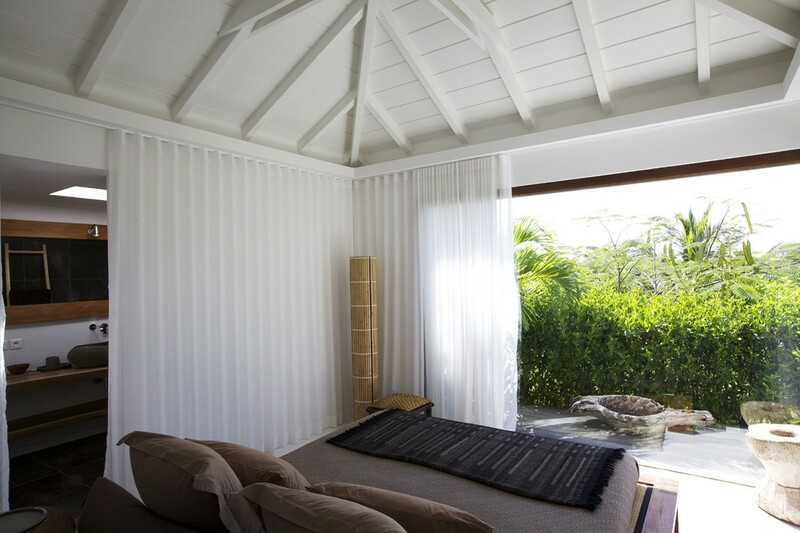 The bedroom opens to the views and features a surround of net curtains that add a sense of romance and calm. Whether on your own or with a partner, a visit to the delightful Villa Casamia is one that you will want to repeat and treasure for years to come. Bedroom 1: Bedroom with a queen-size bed, A/C, dressing room, access to terrace and en-suite bathroom with shower, outdoor shower, vanity and WC. 2 guests maximum. Loved the location-a quieter part of the island. 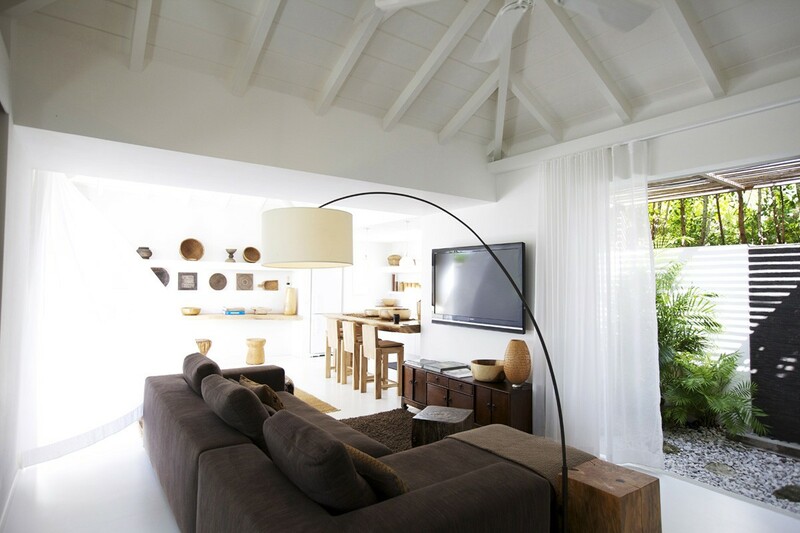 We loved the beautiful simplicity of the villa. The decor was streamlined and uncluttered which we found relaxing. The patio with the pool, lounge chairs, and umbrella were fabulous-we spent a lot of time there relaxing. Fabulous! What a fabulous home!!! Everything was absolutely perfect from start to finish. Our hosts were wonderful and so accommodating! We loved the location, the peacefulness, the layout and amenities. We will most definitely return. Great view of Toiny beach, yet private and secluded, beautiful decor, and my fiance (now husband) especially loved the outdoor shower and the plunge pool. We stayed at Casamia for our "weddingmoon" trip over the Christmas holiday. We were going to check out all of the beaches the second day and then pick one out for our vows and pictures at Sunset 2 days before Christmas. After checking out a couple other's, we ended up just walking down to Toiny beach on our special day instead of driving to one of the other beaches further away as there were less people and there were these awesome rocks lined up sort of like a little aisle to walk down and get married at the end of. 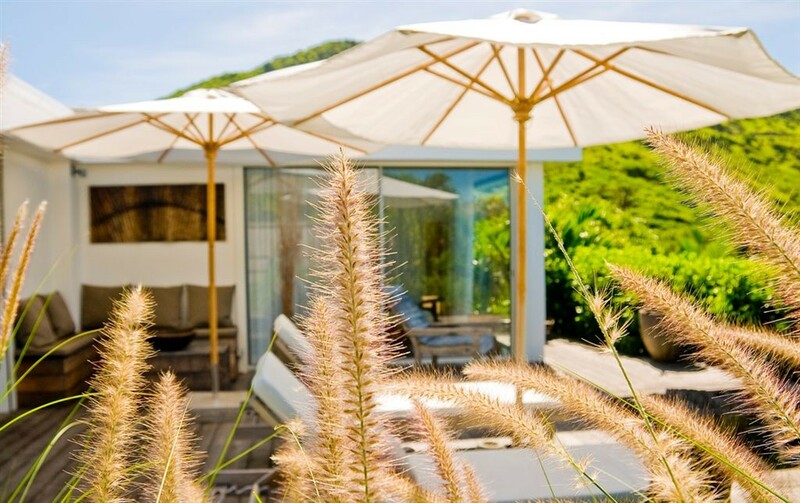 St Barth was beautiful, and we enjoyed coming "home" to Casamia every day after grabbing breakfast at a nearby bakery or exploring and shopping in Gustavia. Casamia is perfect for a relaxing romantic getaway and the bottle of rose` in the fridge to greet you after a long hot day of travel is a perfect way to start it. We ate-in for dinner most nights and having a full set of dishes along with pots to cook pasta in and maid service to handle the dishes made it even better. 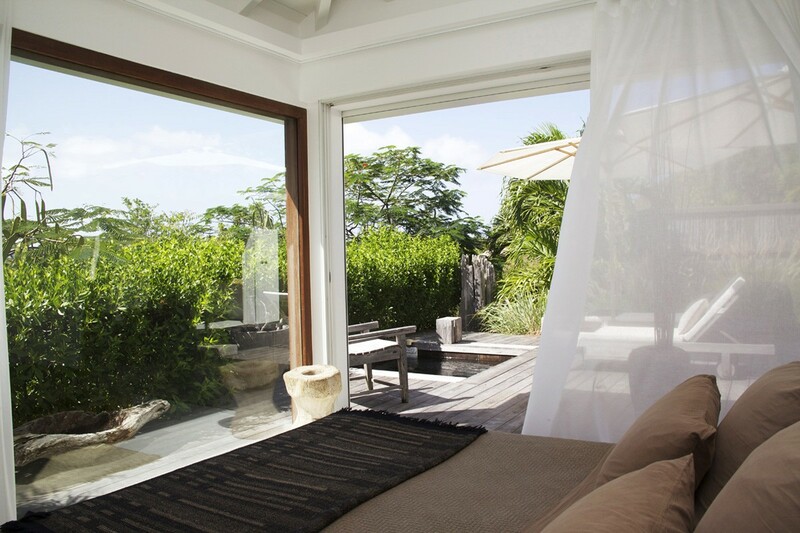 We would definitely return to Casamia if we make it back out to St Barth in the future!! Island chic! Remote and relaxing. Make sure you take a walk to the beach at sunset. The villa is even nicer than the pictures! Fantastic little house. Quiet & secluded. 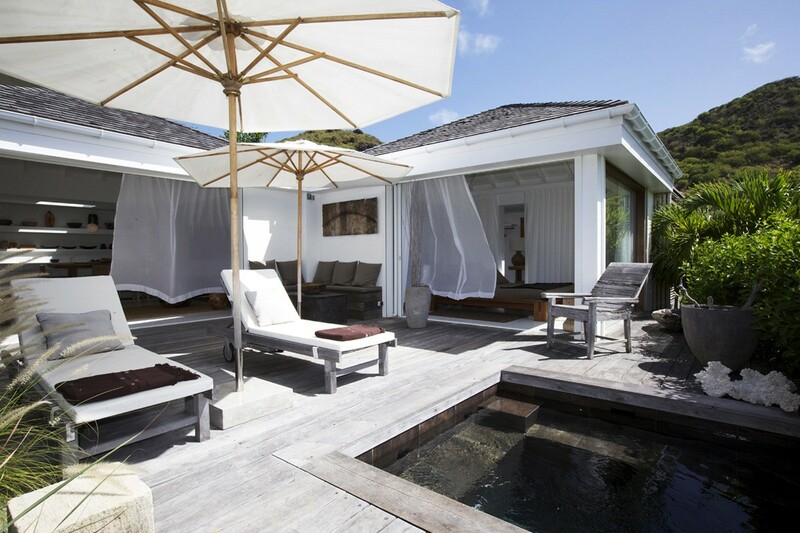 Casamia is a beutiful place to get away and enjoy St Barths. The home is elegant and comfortable at the same time. The beach is easy to walk to and other amenities are close by. We loved our stay and will most definitly come back! This house is really nice. I went there with my wife during one week and it was perfect to spend some time together. 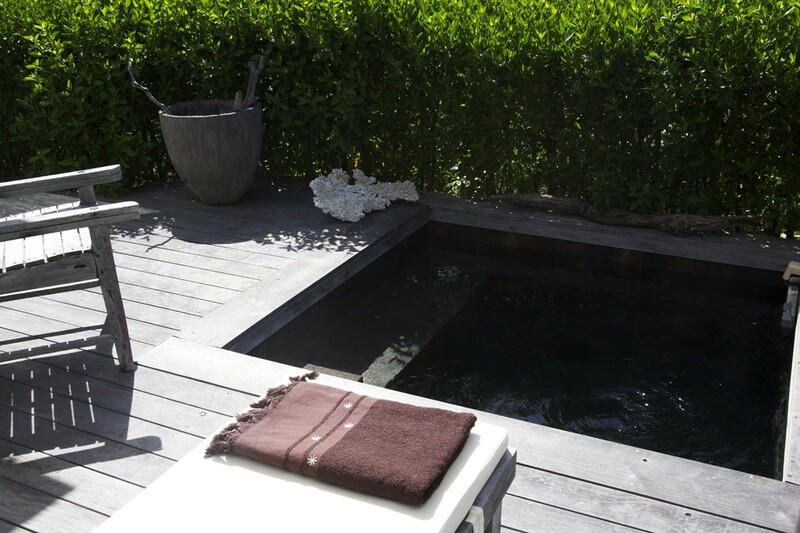 It's confortable & clean as a luxury hotel with the privacy of your own house. We loved staying at Casamia. 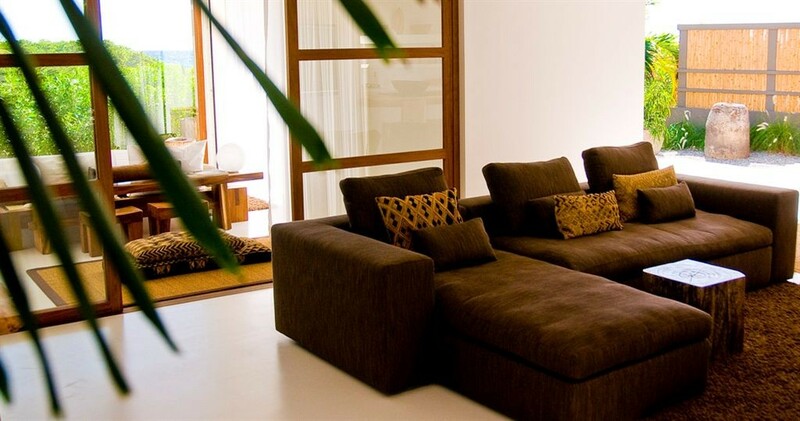 It's a clean and beautifully designed home in a private location. The kitchen and living room are spacious and sleek, and the bedroom has bright windows, filling the morning's with sunlight and excitement. There's a strong AC in the bedroom which helps for peaceful sleep (though the bed is super hard, and that took some getting used to). 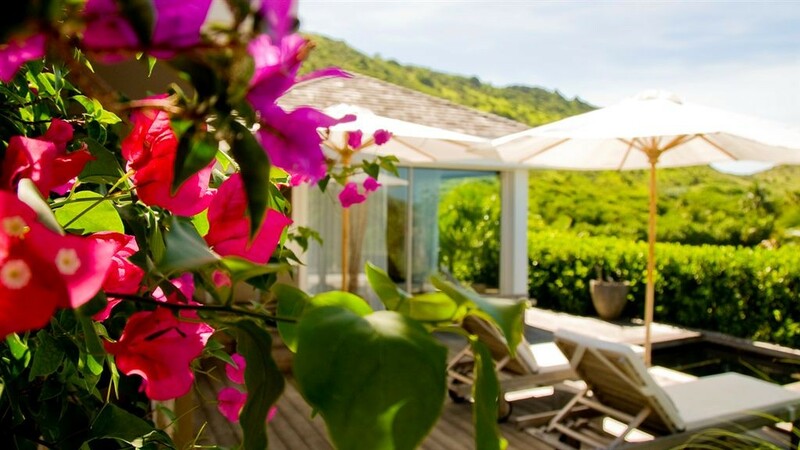 Overall, a beautiful property - and located in a great area with short drives to Gustavia and the key beaches. Amazing villa. Amazon host. Best vacation ever.